We can supply semi husked Coconut from Karnataka India, any quality and any quantity. 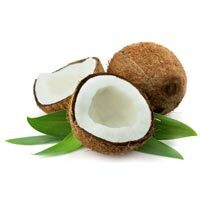 We are reckoned as a prime Semi Husked Coconuts Exporter and Supplier in India. The Semi Husked Coconuts, that we offer, are especially procured from the reliable source to ensure their quality. Our Semi Husked Coconuts are known for their purity and high nutritional content. These Semi Husked Coconuts can be availed from us in bulk quantities and at affordable prices.